Joshua Tree, CA – Hi-Desert Medical Center is pleased to announce the appointment of Judy Austin, RN, MSN, MBA, FACHE, as its new chief operating officer and chief nursing officer. Ms. Austin brings more than 20 years of executive-level patient care service experience to her new post. Most recently, she served as senior vice president, patient care services at St. Mary Medical Center in Apple Valley. 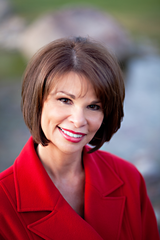 Previously, she was vice president, patient care services at Eisenhower Medical Center in Rancho Mirage. Hi-Desert Memorial Health Care District is comprised of 179 licensed beds: the Hi-Desert Medical Center, a modern, 59-bed primary care hospital and the Continuing Care Center, a 120-bed skilled nursing facility on the campus of Hi-Desert Medical Center. Along with a wide range of quality inpatient and outpatient diagnostic, treatment and rehabilitation services, the District operates the Airway Outpatient Center—a full-service surgery and diagnostic center, the Behavioral Health Centre—an intensive mental health outpatient program, and family health clinics providing medical specialists for Medi-Cal patients. Home health and hospice and a variety of community education and outreach services are also provided.